My darlings, if I were to say that I missed you, I would be lying entirely because it would the understatement of the century. My heart pretty much stopped when we were separated. I mean I could almost have lived during the Shakespeare era, right? No, but in all seriousness, I know I am in the dog house with y'all from my unmentioned departure. I was testing for work, and life got in the way. What can I say? Forgive me? I thought you might. 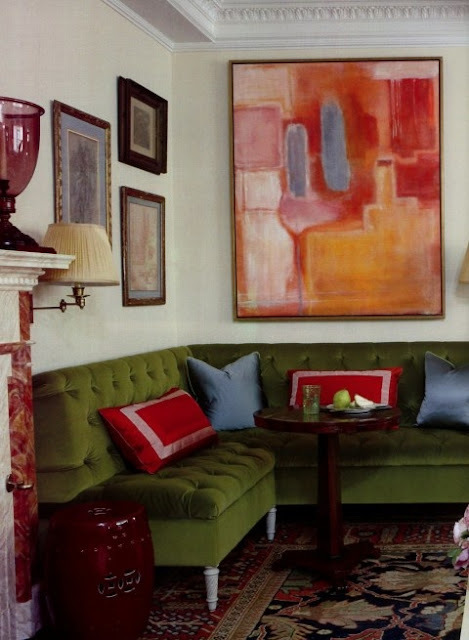 Today I am talking about the colored sofa. Oooohhh and ahhhhhh. I am in the midst of several living room designs for my clients and the colored sofa has my mind running a million miles a minute. While some never thought of this to be the clear choice in recent years, it now is. And let me tell you something, really holds up to all of those sticky icky fingers you people with children endure (I just have muddy paws). 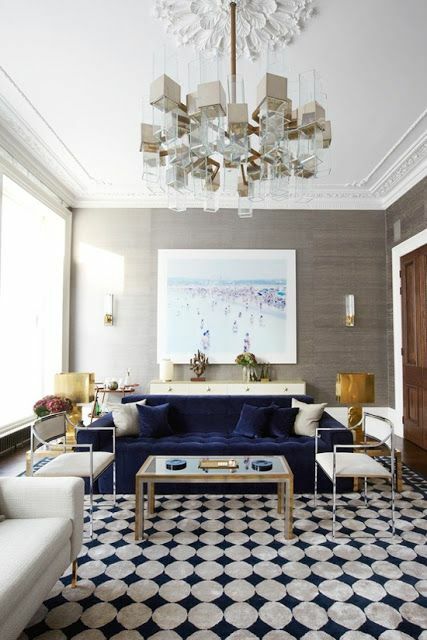 I am loving the couch as the focal point to the space. It is unexpected and artistic and I think you should get on board. I love colored sofas, I just have hard time deciding what color I would want. I am a huge fan of navy velvet but what girl doesn't want a pink sofa!! yup i basically hate you forever for abandoning us. also: i need the sofa in the last picture! I'm with you sister. I scored a vintage green velvet sofa and it has become my favorite piece in the house. 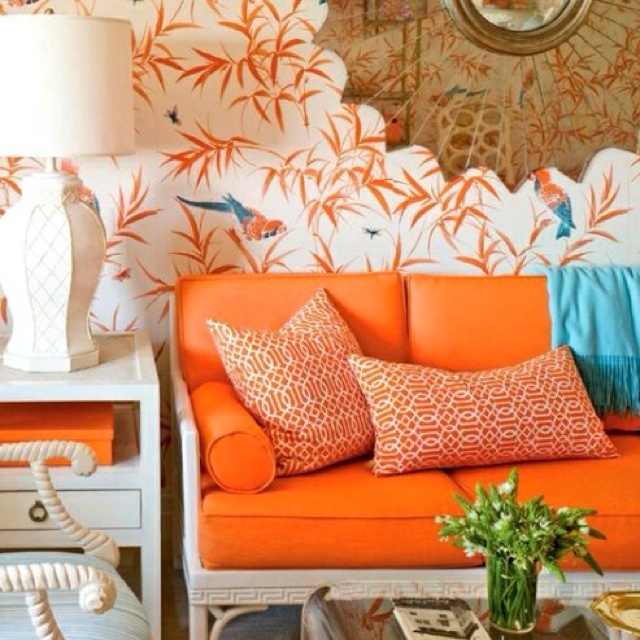 I'm dying for a blue velvet sofa...but I'm also loving that orange! Agreed! 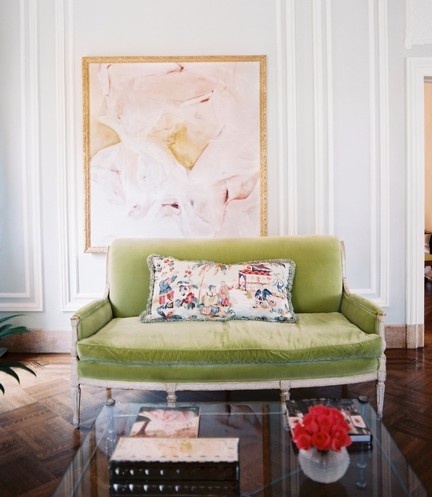 I have always, I mean always had a colored sofa...green, blue, grey....adore! Glad you are back...I did miss you!! oh my goodness! I am so excited about finding your blog, i've seen sadie+stella listed in the must read section of all my favorite blogs so I decided I had to check you out. I'm already smitten, loving the bright colors of these couches! So pumped about finding you! Haha! You're forgiven! 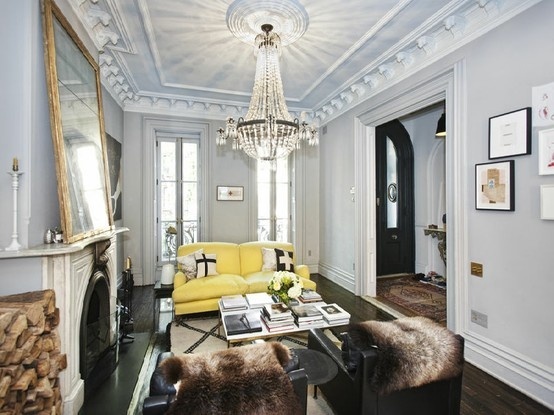 ;) I am dying over a dark, ink blue sofa. That would be so lovely in our living room! What beautiful examples. I really want to cover mine in a deep hued velvet! Still deciding on the color! 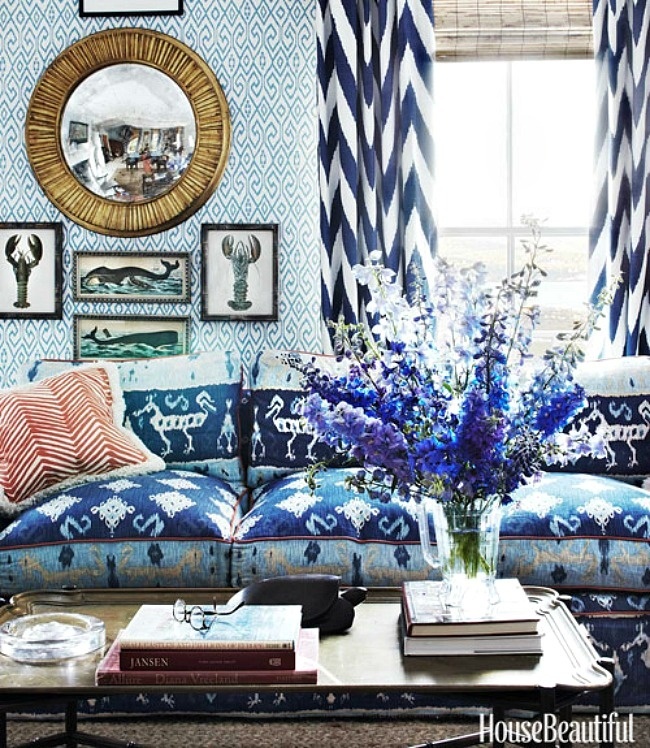 I was just reading in a popular home decor magazine that a rule of designing is to pick a solid, neutral sofa & use color and pattern in pillows... I was appalled and started yelling at the magazine. I'm down with that chintzy sofa! I love the look. Especially a deep and sultry velvet. Me encanta el color del sofá!! Yes sir-ree, Bob. That other job of yours is getting in the way of your blogging. You need to set them straight! Tell them that thousands of people are missing you. I love the navy!! I'm currently giving mine the evil eye b/c it's boring brown. Wow, that orange really pops, doesn't it? I also really like that pink one. 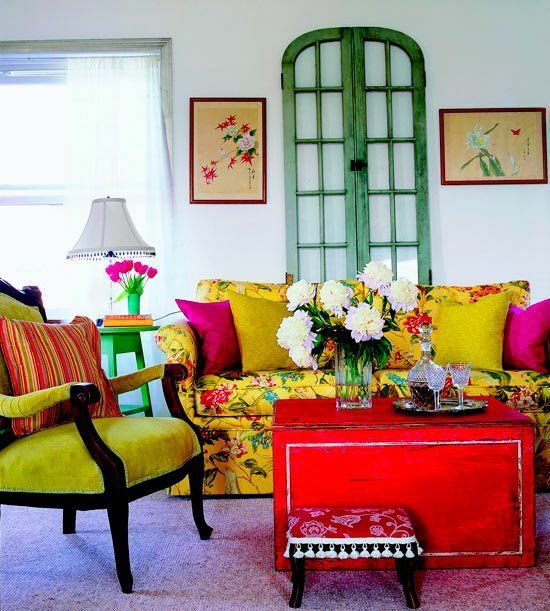 Love a colored sofa! The navy is my absolute favorite! Monday Musings: What Up Dawg?